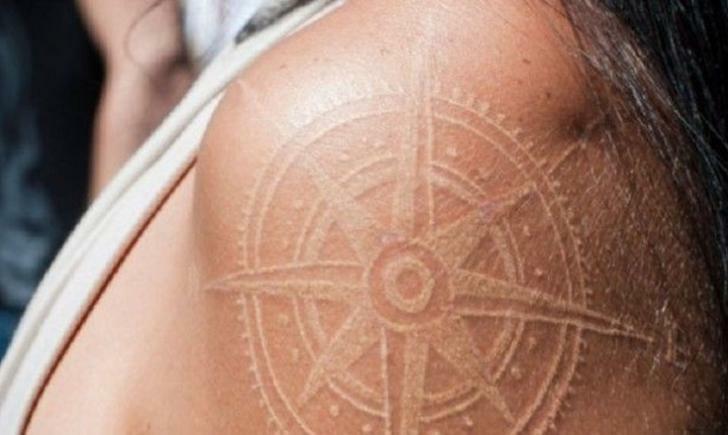 White Tattoos are being requested by tattoo enthusiasts, including enthusiasts who might not otherwise want to get a tattoo, if it weren’t for the subtle beauty of white ink. Tattoos have been considered tattoo, or different, for decades. Even though they are more mainstream than ever, they are still outside of the norm. Not everyone is bold enough to want a tattoo that stands out in black in or bright colors. 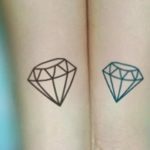 However, white ink creates a completely different tattoo effect, a more quiet, understated effect, that still allows the wearer to stand out of the crowd and be expressive on his or her skin. Ornate floral designs, mandalas, geometric patterns, script, and other subjects are chosen to be created in white ink. 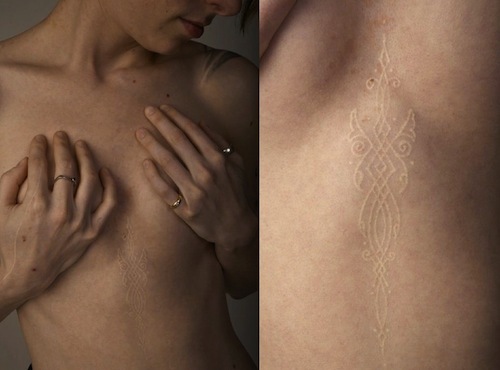 Not only does the white ink look lovely on the skin of the wearer as a normal tattoo, but also stands out more than normal ink tattoos in places where there are UV lights. 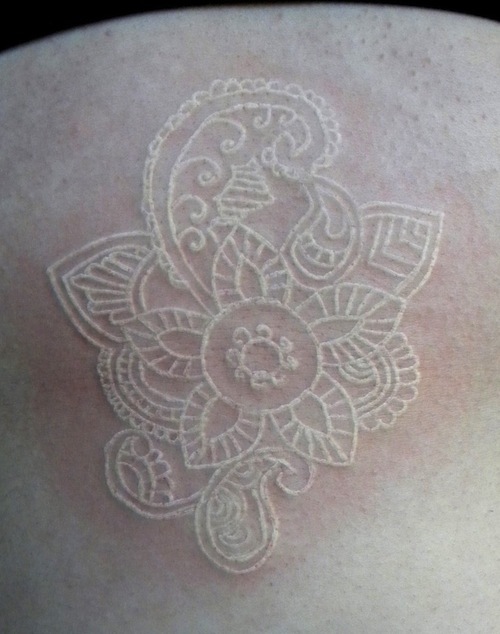 A lovely, intricate mandala floral white tattoo that takes up a good portion of the forearm. Here’s a small mandala inspired white tattoo. 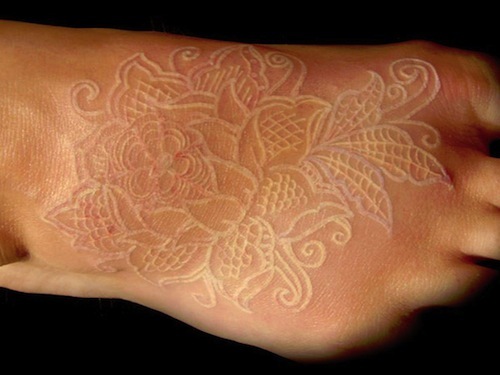 A henna inspired white ink tattoo that takes up most of the top of the wearer’s foot. 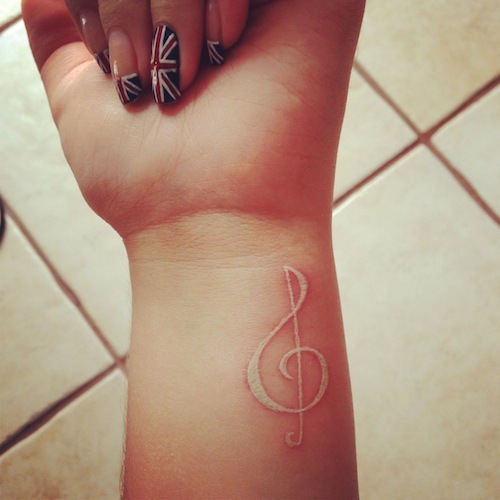 This is a white tattoo of a treble clef, which is often seen in black ink, but is more haunting in white. 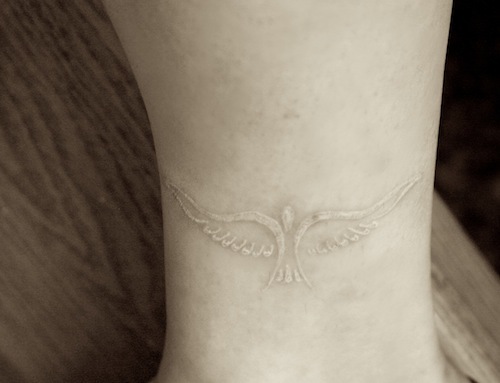 A symbol of a bird sits on this wearer’s wrist. An asymmetrical rose inspired white tattoo truly accentuates the feminine lines of the wearer’s body. 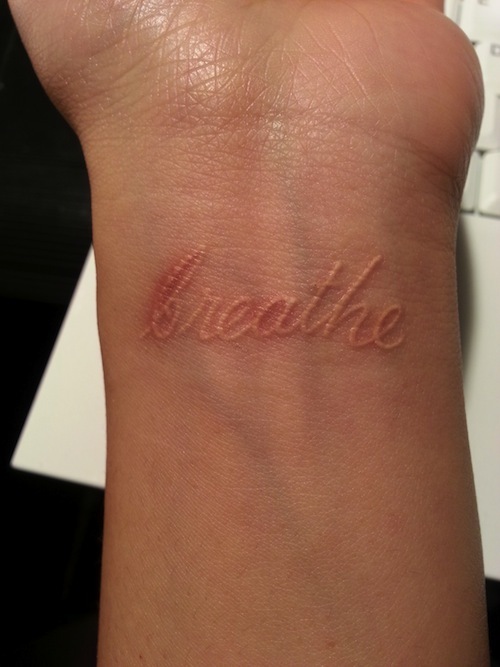 The word “breathe” on the wrist as a reminder to stop and breathe sometimes, and to relax. 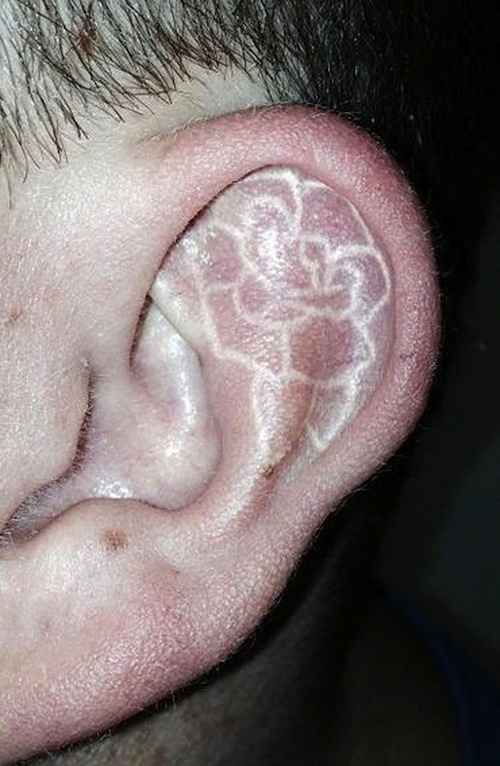 Here’s an interesting choice for placement of a white tattoo: the wearer’s ear. Lovely Celtic inspired, ornamental white tattoo between the wearer’s breast into the upper abdomen. 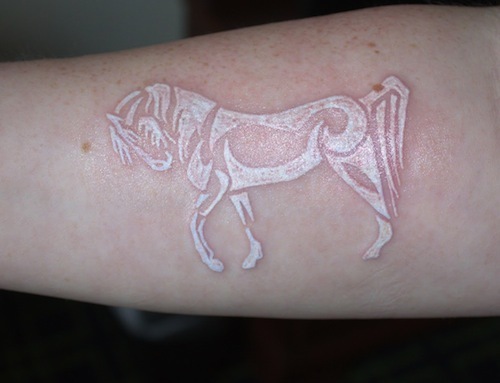 This is a very cool, graphic horse created as a white tattoo.